It has been four months since the U.S. 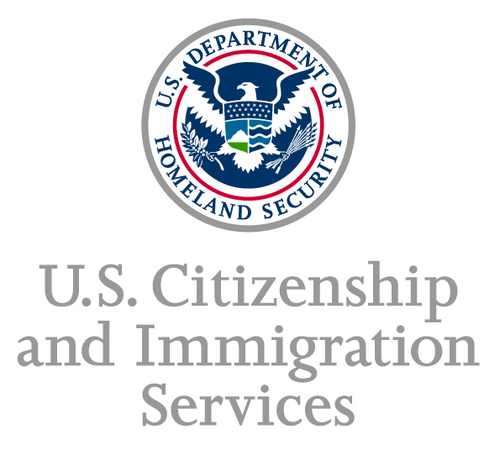 Citizenship & Immigration Service (CIS) began stateside adjudication of I-601A Applications for Provisional Waivers of inadmissibility due to unlawful presence. In those four months, we have learned a few things about how U.S. CIS is implementing this new program. Initially, the U.S. CIS has received over 7,000 I-601A provisional waiver applications. Many have been already been decided and CIS states that it has a six month processing goal. Many applications have already approved but a significant portion have been denied. By far, the most common reason for denial is that the CIS found “reason to believe” that a person might be found inadmissible by the consulate on a ground of inadmissibility other than unlawful presence. As background, the provisional waiver is meant to waive unlawful presence for the immediate relatives of U.S. citizens. In regulations, the CIS stated that if an adjudicator has reason to believe that the consulate might find another ground of inadmissibility other than unlawful presence, the adjudicator should deny the application. This has had the most obvious impact in cases where an FBI rap sheet shows that an applicant for a provisional waiver has been arrested. Although not every arrest leads to inadmissibility, CIS appears to be taking the position that an arrest is sufficient “reason to believe” that a consulate might find inadmissibility on criminal grounds. of course, this is highly over-inclusive. Individuals are, generally, inadmissible due to convictions and not due to charges. While many arrests do not result in convictions, the CIS approach treats many arrests as the equivalent of convictions. Thus, even if a person is found to be not guilty of an offense, the fact that she was charged with a crime can be sufficient to create a “reason to believe.” In addition, another situation in which the “reason to believe” standard frustrates the intentions behind the provisional waiver is where an individual is convicted of an offense that does not, under any circumstances, cause inadmissibility. Not all convictions result in inadmissibility and certain convictions are very clearly and beyond a doubt not crimes which create inadmissibility. The CIS is not entertaining arguments that the individual applicant is not inadmissible. Rather, it is concluding that the bare fact of conviction is enough “reason to believe” that the consulate might find inadmissibility. Thus, the CIS denies the provisional waiver, leaving the applicant and her U.S. citizen family members to the same Catch-22 they faced before the provisional waiver was introduced to eliminate that dilemma. The American Immigration Lawyers Association and other advocacy groups have raised this issue in liaison meetings and have asked CIS to revisit this over-inclusive policy. It appears that, for now, the provisional waiver should only be sought by those with no previous encounters with law enforcement or the immigration authorities. While CIS has stated that those denied will, generally, not be referred to Immigration & Customs Enforcement (ICE) for removal proceedings, the filing of a provisional waiver is expensive and cumbersome process and one’s resources and hopes should only be spent where there is a realistic chance of success. At this moment, we can not state that there is a realistic chance of success for those with any previous law enforcement contact, no matter how minor or insignificant. What can we do to get our (those applying for PW with minor misdemeanors) voices heard? There are several of us over at I2US that have gotten denied for MINOR misdemeanors that DO NOT trigger inadmissibility, and in my case hubby lied at a traffic stop and said he was someone else as he left his valid drivers license at home and was nervous he’d get deported. We have a THREE year old son with cancer..we can’t keep waiting for them to hum and haw over what is “reason to believe” we need to get this stress out of our life and concentrate on our son. Several of us have been talking of starting up a petition like the DREAMERS did..I know AILA is working on it and CLINIC is as well, but we need action promptly before more of us with minor infractions start slipping through the cracks in a process we thought would work in our favor and not against us. There are many variables at play. This is why it’s important to seek professional legal guidance when filling out the form. An immigration attorney will be able to answer your questions and ensure that the correct process is followed.